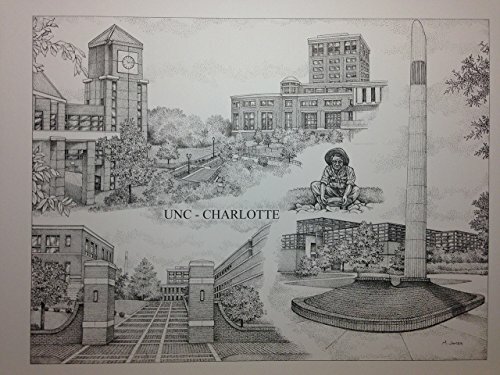 Limited Edition 14"x18" size pen and ink print from hand-drawn original of the UNCC campus. Includes scenes of the "Norm" the gold miner statue, the Student Activity Center/Library, the entrance to the campus at Fretwell, and the recently torn-down Belk Tower; all notable landmarks on UNC-Charlotte's campus. Prints are from a limited run of 600 prints and are signed and dated. Your purchase includes print, foam-core backing, and about-the-artist flyer within an acid-free packaging. Fingerprint Tree custom wedding guestbook - Original thumbprint guest book alternative (Medium Size Ink) includes 2 ink pads! !